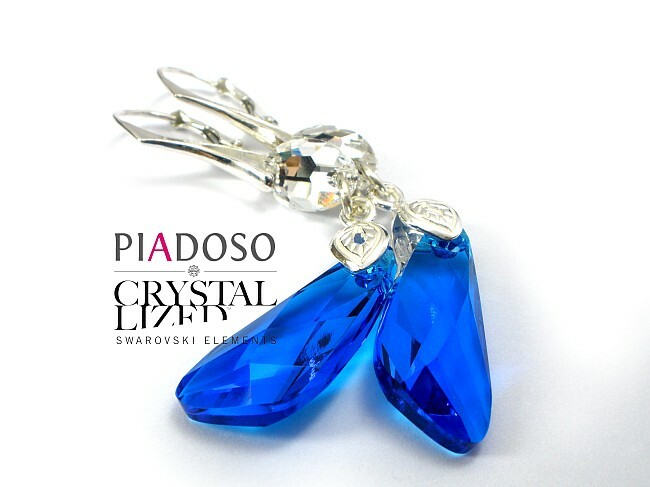 Beautiful long silver Earrings with Swarovski crystals: CRYSTAL WING. These genuine Austrian crystals are made in famous Swarovski Elements collection world-known for best sparkling pearls and crystals. 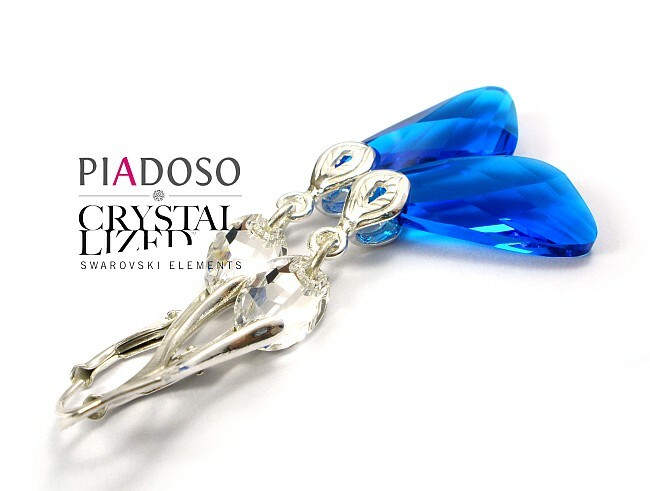 Original large crystal WINGS in a beautiful CAPRI BLUE color. Added with sterling silver elements and Swarovski crystals. Outstanding jewellery for every occasion. Stylish earrings which will not pass unnoticed. The will become a central element of your personal style. They may be a gift for the special person you care for. Elegant sterling automatic clasp. The stamp for sterling silver 925 is marked on the clasp. Stylish finishing. The earrings may be with open hooks or clipses at your wish. 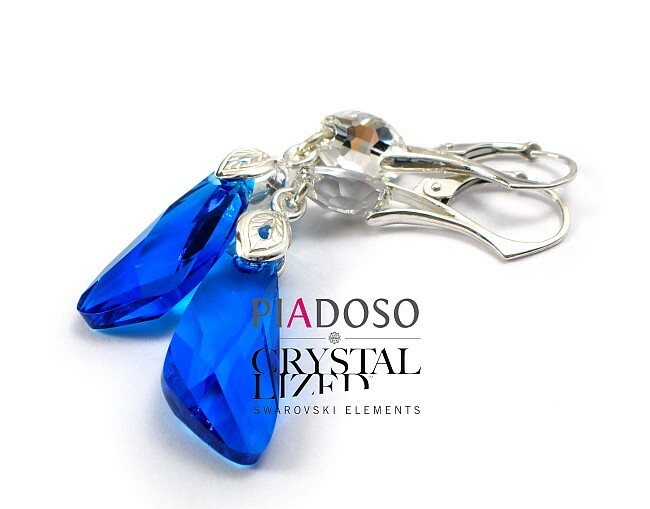 The crystals have an opalescent layer which provides them with beautiful mix of colors.